Centro Educativo Renacimento opens its doors with preschool in 1985 as the result of the hard work and the dream of its founder Lic. Silvia Vanessa Zavala Peniche of teaching children through the acquisition of needed values, competences and skills to get success in life. In 1991 CER begins elementary school and in 1992 introduces the bilingual education and it opens its own campus in Montebello. In 1996, preschool moves to its current campus in “San Antonio Cinta “ and in 2000 it begins junior high school. Nowadays CER gives quality bilingual teaching from nursery to third grade of junior high school. Centro Educativo Renacimento opens its doors with preschool in 1985 as the result of the hard work and the dream of its founder Lic. Silvia Vanessa Zavala Peniche of teaching children through the acquisition of needed values, competences and skills to get success in life. In 1991 CER begins elementary school and in 1992 introduces the bilingual education and it opens its own campus in Montebello. In 1996, preschool moves to its current campus in “San Antonio Cinta “ and in 2000 it begins junior high school. Nowadays CER gives quality bilingual teaching from nursery to third grade of junior high school. 1. Every human being is unique, possesses abilities and talents and unrepeatable skills; therefore, its maximum possibility of development can only be achieved through an integrated education that promotes respect, tolerance and autonomy. teachers and parents play a protagonic role in the consolidation of meaningful learnings to take students towards a life of success and happiness. 3. The current world demands increasingly complex challenges that the human being can only face if he/she has the necessary tools granted by an integral education based on human values, an education that goes beyond the simple storage of history and culture data. 4. The best tool for education is the model, that’s why teachers and parents must be the person that reflects everything that you want to give to your children or students. 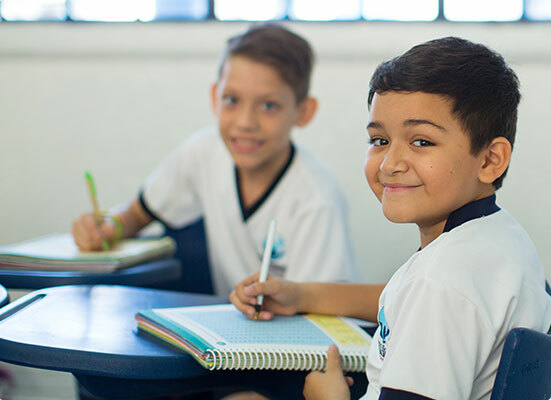 We are an institution which educates for life, through an integral education with humanistic principles and based on universal human values of catholic inspiration open to all creeds and condition. As such we provide an space that ensures that students are active agents of their learning, autonomous, responsibles, able to be part of the improvement of their society, giving them the opportunity to acquire meaningful and useful learnings for their life. We have two campuses at the North of Merida. Nursery and preschool campus is located in 16 x 3 and 5 street in San Antonio Cinta. Elementary and Junior High School campus is located in 33 x 10 and 14 street in Montebello. We have two campuses at the North of Merida. Nursery and preschool campus is located in 16 x 3 and 5 street in San Antonio Cinta. Elementary and Junior High School campus is located in 33 x 10 and 14 street in Montebello.